This GPS antenna is a very compact solution with high-gain. At only 19 x 19 mm and 5mm tall!! It is made to be incorporated into tight spaces on your product to enable GPS functionality in a small amount of space. 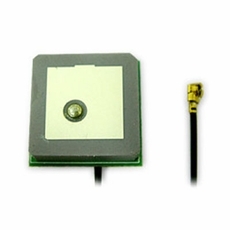 It has 2 gain stages and an integrated LNA for max performance.